but an ignorance shared by a great many people who seem to imagine all Germans were Nazis. They weren't, not at all! their proposals clear and accused communism and capitalism of being associated with Jewish influences and interests. nation, and protection from capitalist exploitation. majority certainly being Roman Catholics! lives in this camp alone by being starved and worked to death. the Nazis Regime was the systematic and professional organisation of everything! bothered to do their homework about certain issues!" Prince Harry gave his ex Chelsy Davy a £1,000 diamond bracelet for Christmas. Harry, 26, also phoned her on Christmas morning. The source said: "Harry's kindness made her think about whether they made the right decision in calling it a day. "They're both finding it especially difficult being apart at Christmas. In previous years they spent time together." to - I think he's giving her space to decide whether she wants a future with him." Prince Harry is apparently planning a trip to Africa – including a New Year reunion with his ex-girlfriend Chelsy Davy. The 26-year-old will have a three-week break from his Apache helicopter training over the Christmas period. training in the New Year and hopes to graduate by 2011. A Royal spokeswoman declined to comment. indeed to others and theirs. that they are quite literally the best of brothers! " 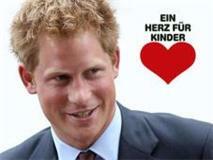 Chelsy Davy and Prince Harry were seen together again leading to speculation they are rekindling romance. great grandmother "H.M. The Queen Mother " and where his own mother, " Diana, Princess of Wales " whilst then still "
Lady Diana Spencer " slept the eve of her marriage to H.R.H. The Prince of Wales on July 29th 1981. Chelsy. Harry says his time with Chelsy is always the happiest." Chelsy Davy, 25, flew into the United Kingdom recently from South Africa. missed each other and now were catching up! time, so it's only natural, I guess. He's coping, but, yeah, he does miss her a lot"! than likely his lady by his side. encourage and welcome happening as their Mummy would only ever wish the best for them both; right boys! " Polo Cup – scheduled to coincide with Prince Harry’s visit – has been cancelled. forward to other opportunities to visit Dubai in the future. which is lovely for me to know naturally. worthwhile to realise, to know and to believe! " Chelsy was staying in the UK! either to make sacrifices at this age." A Clarence House spokesperson tells Us: "We do not comment on Prince Harry's private life." on their careers which are important to them and often absence makes the heart grow fonder if the love is true. "Unbreakable", this being the acid test of that ! who are accepting of this fact naturally as being part of the deal as there really is no escaping it's happening ! "